With spring in full swing, farmers markets and corner bodegas are teeming with plants, begging bright-eyed New Yorkers to take a pot or two home with them. While some of these verdant gems will enjoy a long-lasting life within their new indoor confines, a larger percentage will end up a droopy mess or a dried up skeleton of their former self. 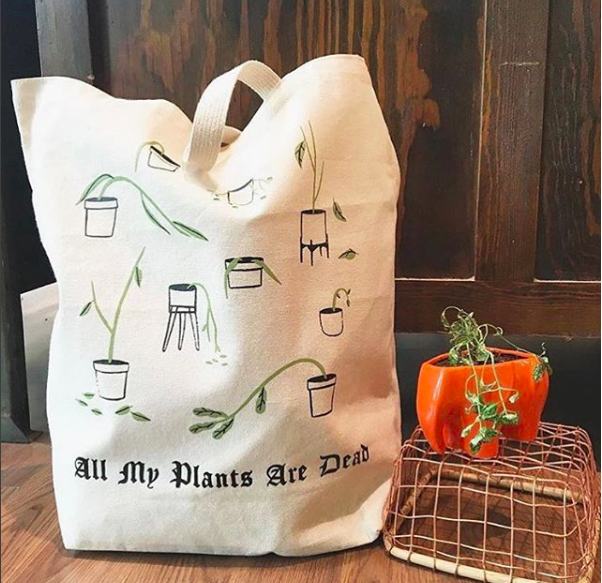 If you’re one of those whose plants have been (or you know will be) doomed to such unsightly fate, don’t let your black thumb ruin your day; instead take it all in stride and wear your private shame like a badge of honor for all to see. 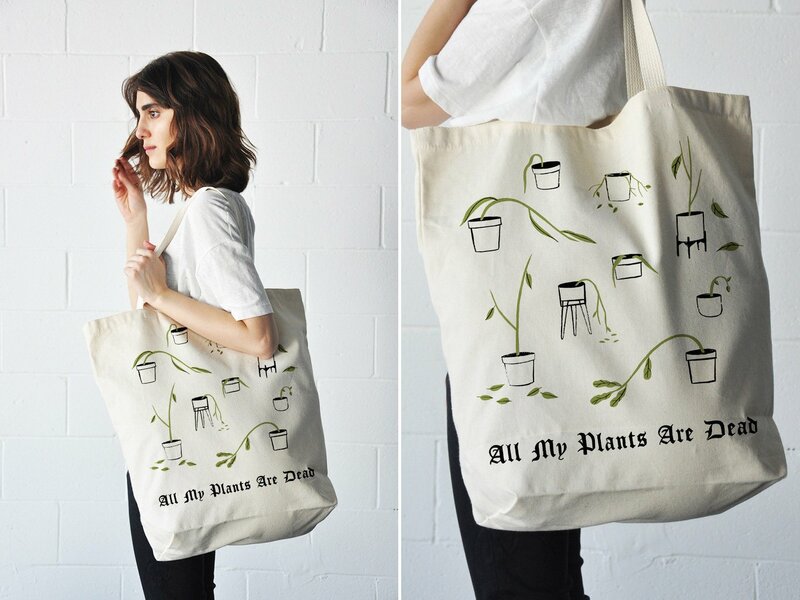 Appropriately named “All My Plants Are Dead,” this tongue-in-cheek tote bag design has been cleverly illustrated by artist Kaye Blegvad and screen printed on sturdy canvas. The bag is a sizable 18″ x 18″ with a 6″ bottom gusset and 22″ webbed handles and can hold up to 35 pounds of goods—the perfect city companion! See more work from Kaye here. You can also purchase one of these totes for just $24 here.